Uptown Charlotte has it all. 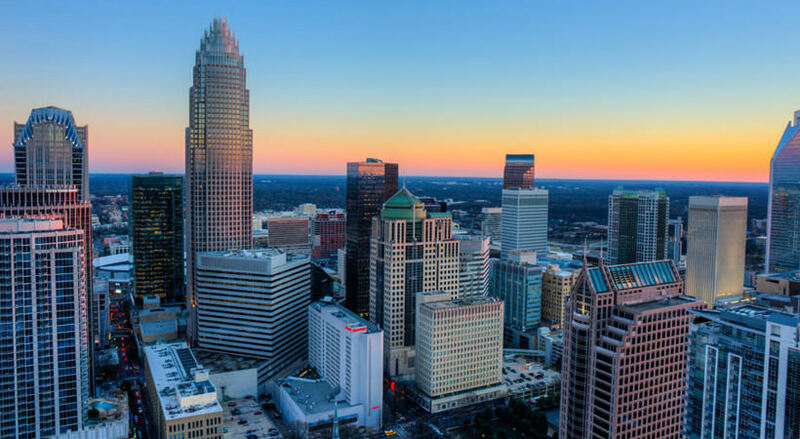 From popular sporting venues to eclectic bars and coffee shops and even museums, all mixed together with a thriving business district, this is one of Charlotte's fastest growing communities. At the heart of it sits a community of luxury apartments in a breathtaking high rise. That community is The VUE. If you're looking for luxury apartments in Charlotte that embrace the vibe of the neighborhood, The VUE is the community you will want to tour. The VUE is the highest high-rise building between Miami and New York, and within its walls are some of the most visually stunning luxury apartments you will find in Charlotte. These lavish spaces run the gamut from studio apartments to opulent penthouses, all with floor-to-ceiling views of Uptown Charlotte below. These apartments define luxury living, and they are awaiting your discovery. When you open the door to one of the luxury apartments in The VUE, you will instantly be impressed with the dramatic space. 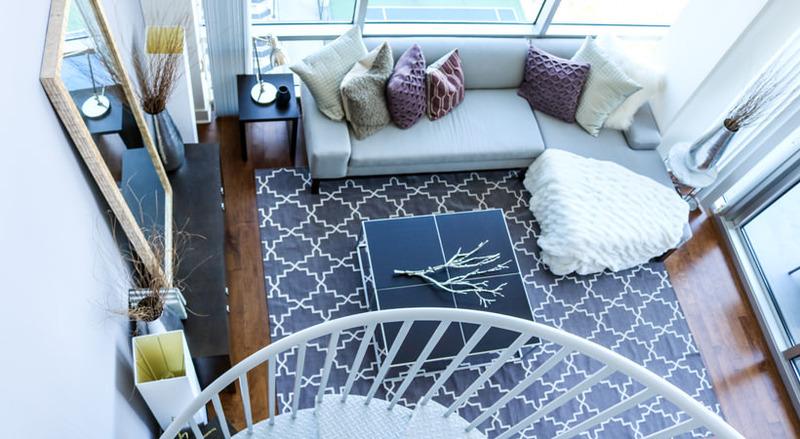 Ceilings up to 12.5 feet in height ensure plenty of space, and the stylish wood flooring evokes feelings of luxury. Each apartment home has a spa-inspired bathroom and gourmet kitchen, all with the finishing touches that make using these spaces truly pleasurable. The open concept design ensures that the floor-to-ceiling windows flood every corner of the space with light. Oversized balconies allow you to make the most of the stunning view outside your apartment. Each apartment is equipped with chic custom cabinetry, included washer and dryer, ample closet space, and upgraded, energy efficient appliances. Everywhere you look in an apartment in The VUE, you will see the details that show just how luxurious your new lifestyle will be. Life in The VUE is surrounded by luxury. 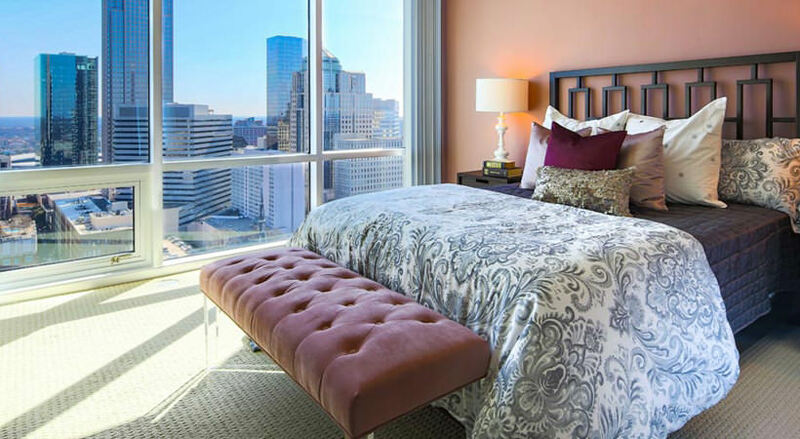 A 24-hour concierge service ensures your every need is met, and your apartment is located near all of the premier amenities of Uptown, keeping entertainment at your fingertips. Yet the many on-site amenities mean you may not have to venture away from home for your recreation. Whether you spend your days on the 35,000 square foot sun deck overlooking the resort-style Junior Olympic pool, enjoy a workout in the full service health club or yoga room, or spend time hanging out with friends and colleagues on the 8th floor cyber bar or billiards lounge and cafe, you will find something to suit your tastes at The VUE. The community even features a private Sky Lounge Bar, electric car charging stations, golf simulator, game lounge and demonstration kitchen.